This came a bit late due to finishing a big deadline and being gone on Holiday... But! Better late than never, I gotta keep the tradition going.. The card is meant to be folded in half where you choose the front, and the gif is just for fun. 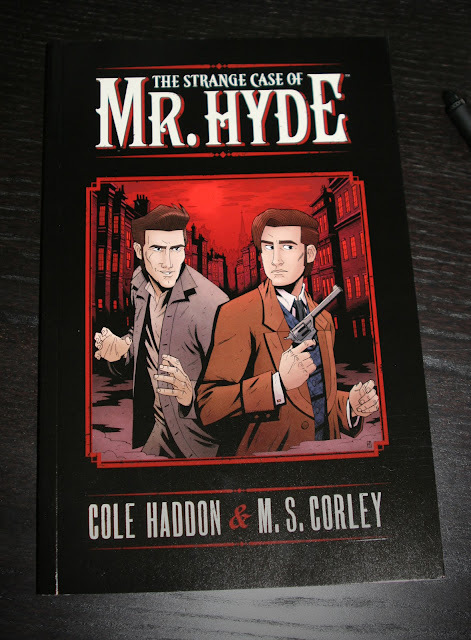 The Strange Case of Mr. Hyde TPB, signed, sealed and delivered to you. First two people to email me their mailing address win. Easy peasy. Winning emails received, thanks everyone! 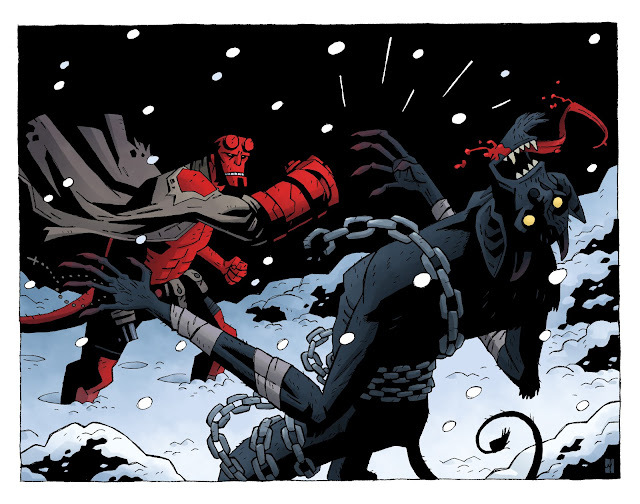 This years Hellboy forums holiday exchange piece. I'm mailing the original inks but I figured I should color it. I think of all mythical creatures Hellboy should have fought Krampus at some point. Maybe he did and that just hasn't been revealed yet.. 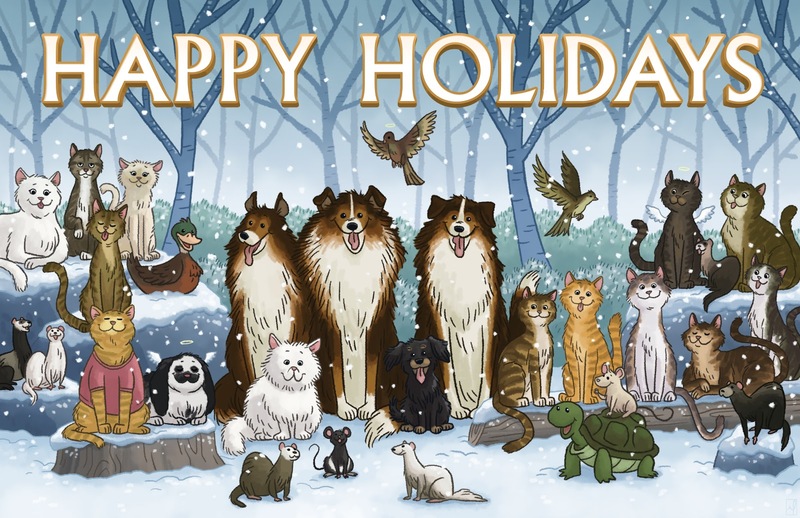 This years holiday vet card. Some new animals this year.